I didn’t know Fr. Peter Hughes well — not as well as some in my life. I would see him at gatherings here and there during the years he served here, and I knew more than a few people who held him beloved. Then one day in 2011, I was given the honor of writing a story on him on the occasion of his golden jubilee as a priest. The day we sat down together, I discovered why he was such a magnet to so many. With space constraints before me, my editor and I decided to let him do the talking. Our time at the now-defunct Cardinal Meunch Seminary in north Fargo is etched in my memory, in a precious place. Some of his thoughts became infused into the article that resulted, and the rest is simply in my heart, but I have called to mind his broad and loving perspective about God’s hand in the world and in our lives many times over. Father Hughes’ life ended where it began, in his homeland of Ireland; a place I also count as part of my ancestral grounding. 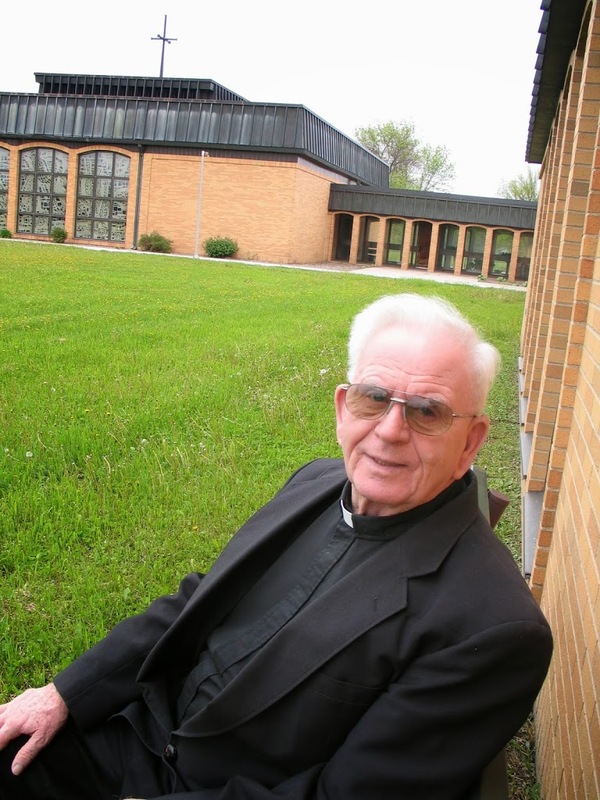 The middle of his life, however, included long stops in both Nigeria, where he was part of a group of missionary priests known as the Holy Ghost Fathers, and North Dakota, where he spent several decades shepherding the prairie flock here. Many, far and wide, including in the Emerald country and here in the Heartland and there in the African jungle, have been touched by his life, which included a deep devotion to Jesus the Christ and his mother. Since his death this week, I have learned even more about him, including that one young lad, name of Bono, who eventually found his fame in a rock band known as U2, once stood by Fr. Hughes’ side as one of his altar servers. And in our local paper this week, I learned he once captured video footage of the civil strife in Nigera in the late 1960s, which was aired on NBC. He was interviewed during this time on the Today Show. Fr. Hughes’ real claim to fame, though, was of a humbler variety; the simple loving of God and neighbor, and doing what was possible to make life a little more charitable to those who walked near him. I have not been able to find a link to that older story, so I am sharing it here, at the request of friends who now are yearning to remember, to hear his voice in phrases, to touch his wisdom and faith and love once more. 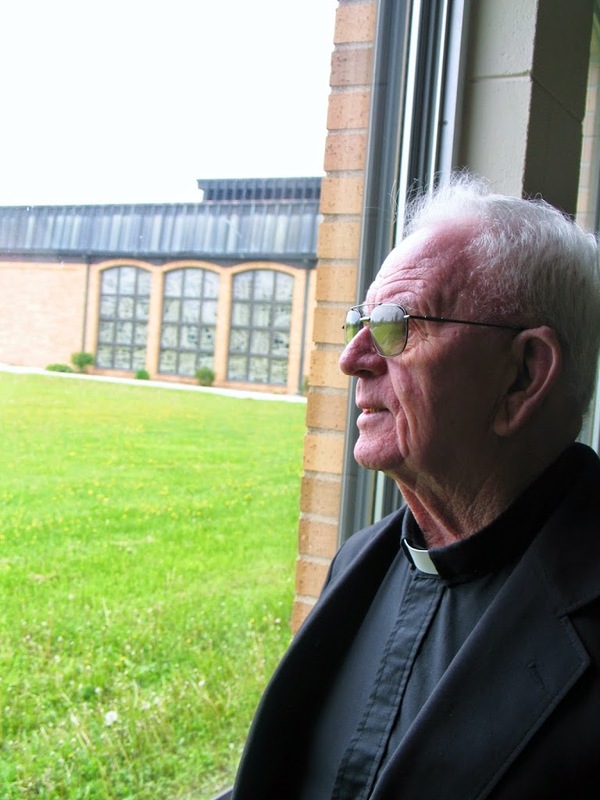 May the perpetual light shine upon you, dear Father Hughes. I have every confidence it will and then some. In his half-century as a priest, Father Peter Hughes has experienced everything from the high of Mass with Pope John Paul II to the low of a brush with what might have been an untimely and brutal death. The high took place in 1984 when Hughes, a native of Dublin, Ireland, was just starting his 28-year stint with the Diocese of Fargo. He’d had the fortunate experience of helping lead a three-bus caravan from North Dakota to Canada to meet and celebrate Mass with the former pontiff. The low happened while on a missionary assignment in Nigeria. As part of the Congregation of the Holy Spirit Order known as the Holy Ghost Fathers, Fr. Hughes was helping introduce Jesus to Africa. But when a civil war erupted between Christians and Muslims, things turned unsafe, especially at night. When it was time to leave, Father Hughes made the transition with ease. The pattern of going easily from one thing to the next seems to have been set during his earliest years as the youngest of six children. “Of course, I always claim I was the neglected one,” he said, grinning. In reality, it was a good life lived in a country rich in faith; a place in which the whole community worked to raise up the next generation. “You didn’t just answer to your parents for misbehaving, but to the locals, too,” he said. An altar boy in his parish of St. Sylvester’s, the young Peter was formed by parents who greatly respected the Church and priesthood. One priest friend would come over every Monday night to eat dinner and play cards with the family. And music nearly always rang through the house. Soon after his mother died of heart failure, a teenaged Peter shared his thoughts of joining the priesthood with a local pastor. He finished high school in the seminary while continuing to enjoy his beloved cricket game and bicycling around his homeland. A year after his ordination on July 16, 1961, he left for Africa. Nearly instantly, he felt at home. As civil strife increased, the priests became “black-listed” from the area. “They maintained we prolonged the war for 18 months because our guys started airlifting food and medicine every night for the Christians.” Recently, the ban was lifted. Regardless, he still finds the attempt to bring Christ to others worth the trouble. “That’s the joy of it, isn’t it?” he said, a sparkle in his Irish eyes. Father Hughes will celebrate his Golden Jubilee in his homeland, where he and a group of priest friends will convene for the first time in many years.